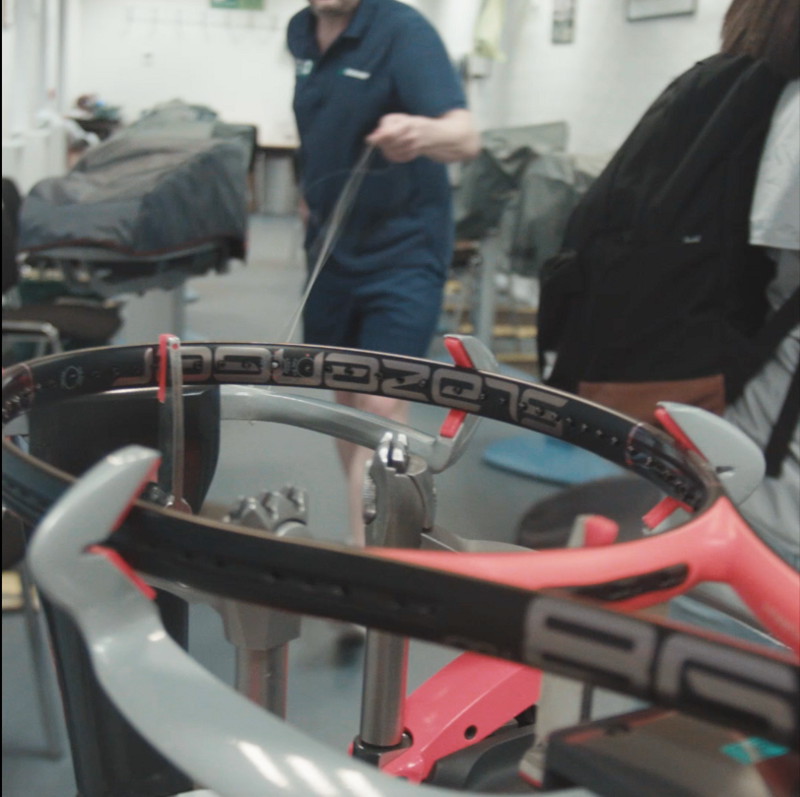 This ladies’ final day at the Wimbledon tennis championships we were lucky enough to procure backstage passes to the stringing room, where a team of top tour racket stringers work all hours throughout the tournament to ensure the players have each racket strung to precision. Have a look at our video below where we take you behind the scenes and then read on to get the full exclusive experience! A wave of bleeps and machine whirring washes along the corridor, opening in to a long brightly lit room where rows of stringers, hunched over rackets, are threading assiduously, the hush punctuated only by strings tightened to exactable tensions – each completion greeted with a bright, robotic trill. Paul Skip has been stringing rackets for more than 20 years. He began his apprenticeship the old way, working in a sports shop. He has honed his skills over a lifetime, stringing countless rackets for amateurs until he got his break in 2004 when he was invited to string at Wimbledon. A chance he ‘jumped at’. “Consistency and precision” are key to the work of a tour stringer, Paul says. A calmness under pressure is also integral. Any minute a racket might arrive from one of the worlds leading players, mid game. A racket they’ll want back in their hands on court within minutes, strung exactly as it was. Their careers often rest on it. As we arrive Paul is stringing Jamie Murray’s racket in preparation for his upcoming mixed doubles final with his partner Martina Hingis. Which, incidentally, they went on to win. An accompanying receipt contains detailed instructions for type of string, tension and even the number of knots to be tied. In this case the longitudinal strings are a different type to the lateral. There is no room for error and the stringer must stay focussed throughout. Paul likens the pro tennis match to a “Gladiatorial arena” and he appreciates the “chess like” strategy of play. A decent amateur player himself, he knows the value of a racket well strung. Paul works fast. His hands manoeuvre dextrously in and around the racket, weaving and fixing strings in place as he talks, muscle memory taking over. Watching a match on centre court after speaking to Paul we have a new found appreciation for the precise work behind the speed and skill of the players. The pop and whoosh of their serves and volleys now appear as a choreographed stage piece, a team production. And indeed, among the post game bows, amidst wild applause, a single player nods to the left of stage and seems to silently acknowledge those invisible backstage heroes, like Paul. 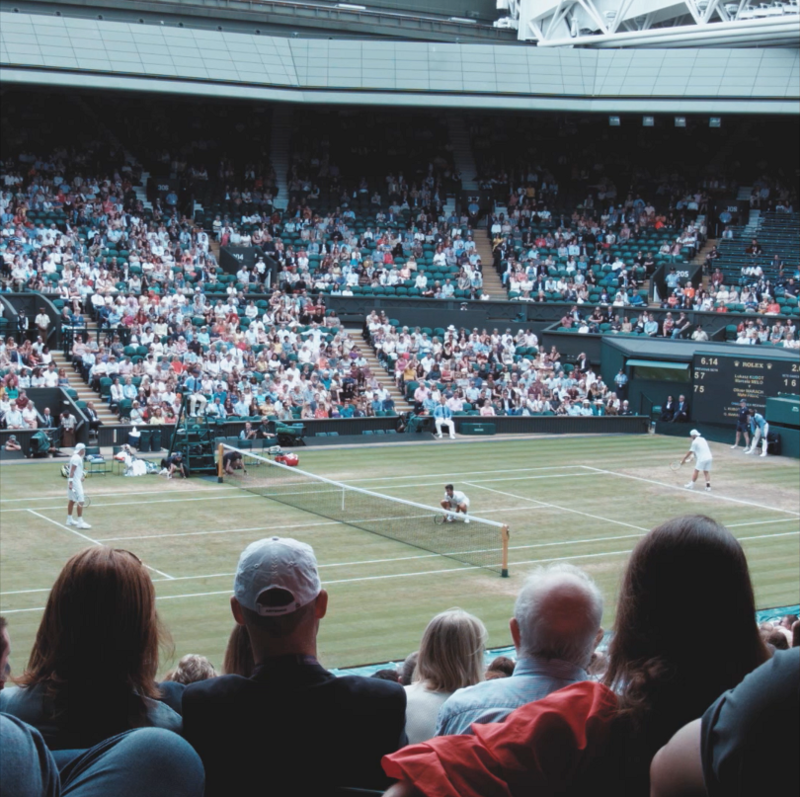 You might not be playing at Wimbledon just yet, but that doesn’t mean that you don’t need a top-quality stringing service. 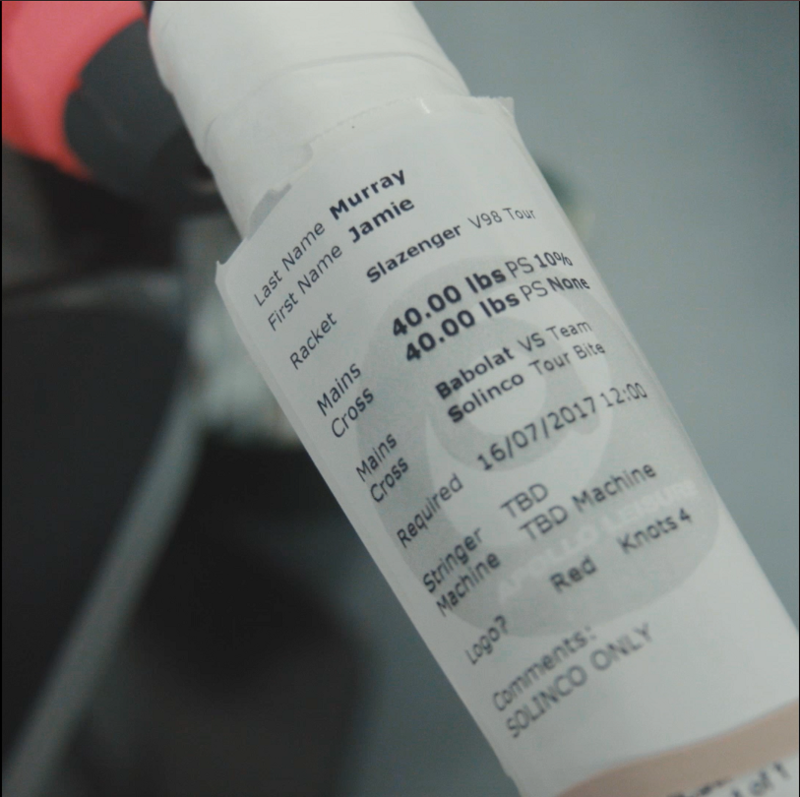 In fact, ensuring your racquet strings are at the optimum tension can have a big impact on your development and your on-court performance, even if you’re only playing once or twice a week.